Apple has dropped another hint it is looking to integrate fingerprint sensors into forthcoming iOS and, perhaps, Mac OS X products with a new posting on its jobs site. Recent reports have suggested that the iPhone 5S will arrive with a fingerprint sensor next to the home button, with the rumoured iWatch reportedly in line for the tech too. Now the company is looking for a software engineer to join its new team at the Melbourne Design Centre on Florida's Space Coast, which is where the AuthenTech company Apple purchased last year is based. 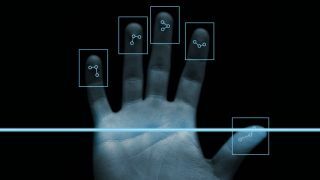 AuthenTec, which specialises in fingerprint sensors and identity management, was snapped up by Apple for $356m (UK£233, AUD$342 ) prompting speculation the tech would soon be integrated within Apple products. The position, which is the only Florida-based role on the company's jobs website said applicants must be able to write "low-level code to configure and control hardware." The job posting does not mention fingerprint sensors by name, but applicants must also have experience in hardware and firmware interaction. It remains to be seen whether Apple is preparing an instant introduction with the iPhone 5S. Speculation has also suggested that the handset, scheduled for launch later this year, would be more of an evolutionary update than a revolutionary new handset, so it would be a surprise in that sense.